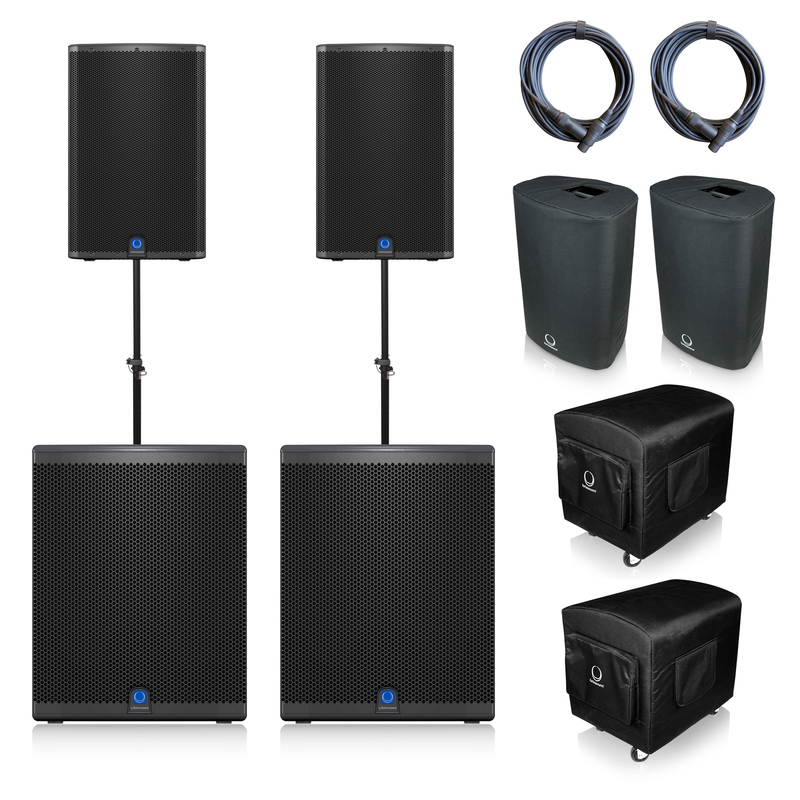 Turbosound iQ12 & iQ18b Package is the preferred choice for an ultra modern Active Speaker Setup. 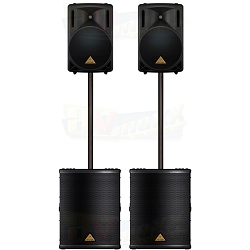 10,000 watts of combined Power gives you sufficient headroom to offer an earthshaking experience to any size event. 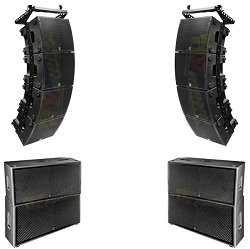 The IQ-12 2500W 12" 2-Way Speaker System from Turbosound is an ULTRANET equipped digital loudspeaker, which is part of the Turbosound iQ Series. 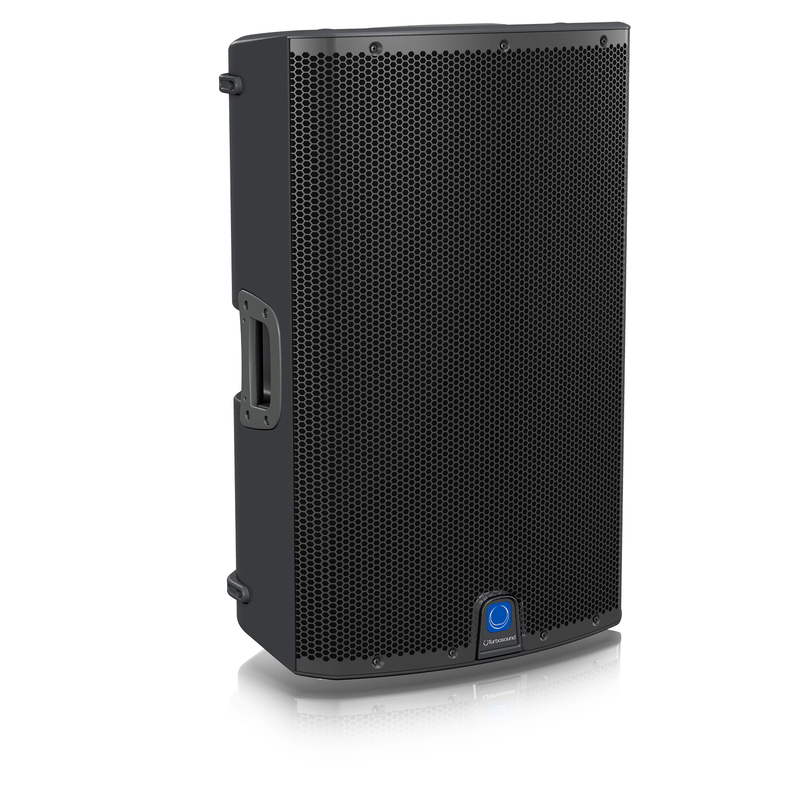 It can be used with ULTRANET-enabled products, such as digital mixers and personal monitor systems, and other iQ Series loudspeakers and subwoofers. 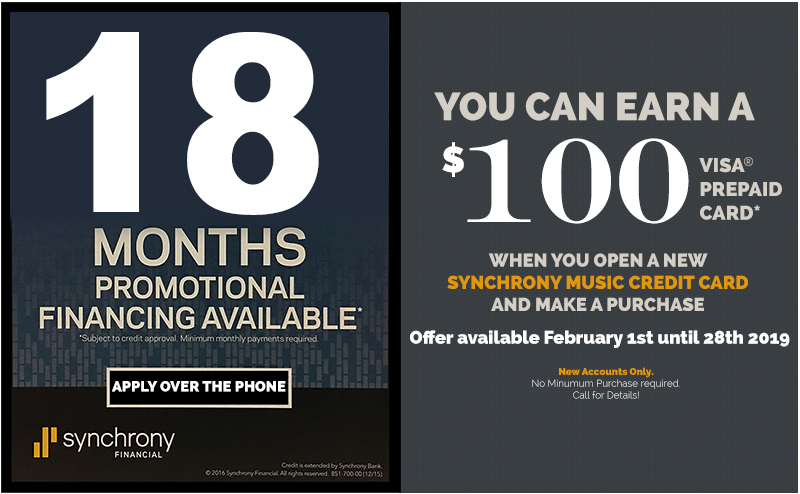 The ULTRANET-enabled system is devoid of ground loops and interference problems, and you get pristine, crystal-clear audio via multi-channel and an all-digital signal distribution. 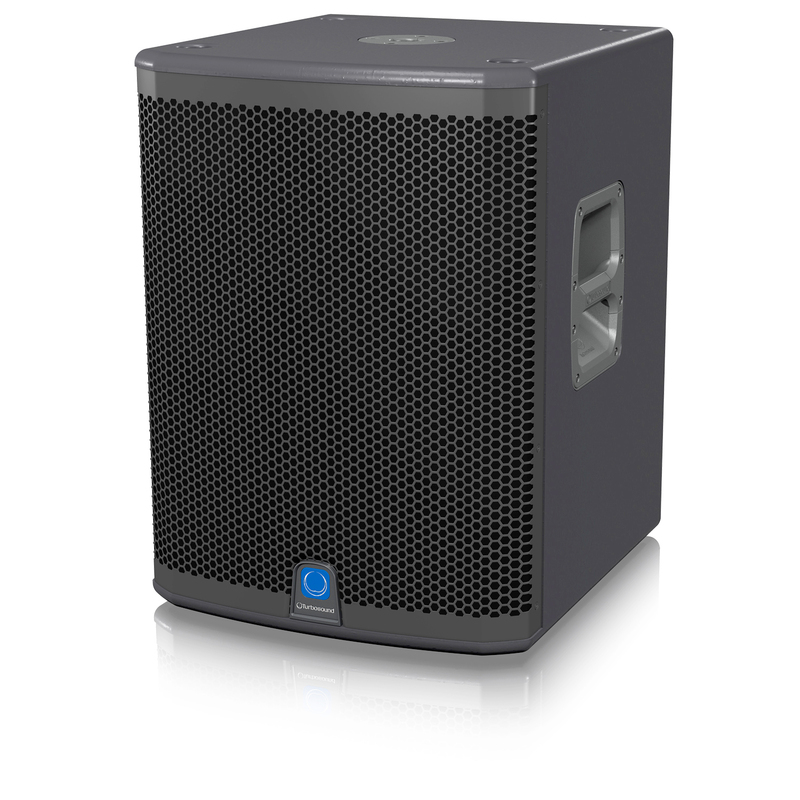 Featuring an onboard 2-channel mixer, USB-addressable DSP, 2,500W Class-D power amplifier, and Turbosound-designed low/high-frequency drivers, the IQ-12 speaker delivers sound that is smooth, crisp with punch, and has natural detail. It is equipped with KLARK TEKNIK DSP processing, which ensures total system control and driver protection, and features a phase/time-correction crossover, EQ, noise gate, automatic feedback eliminator, and much more to maintain optimal performance. 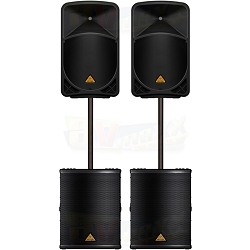 The setup can be done directly at the rear panel LCD, or remotely using a PC and Turbosound's free software download. 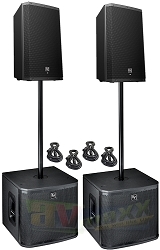 In addition to the two combination balanced XLR-1/4" jack inputs, balanced XLR outputs for each of the two independent channels, and a Mix Out XLR connector, the IQ-12 features a mic/line switch and level control with signal present LED on each channel. 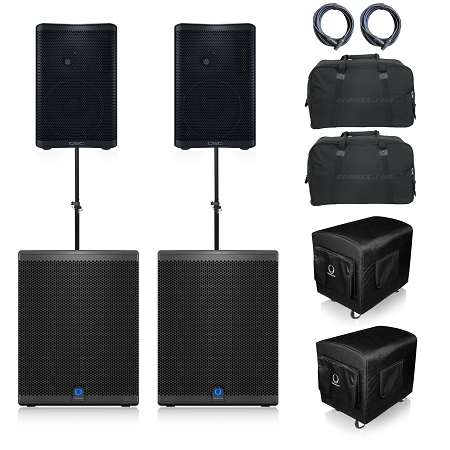 Built with integrated fly-points, the cabinet can be suspended via optional hardware or ground stacked on its subwoofers (sold separately) to suit any venue for permanent installation. 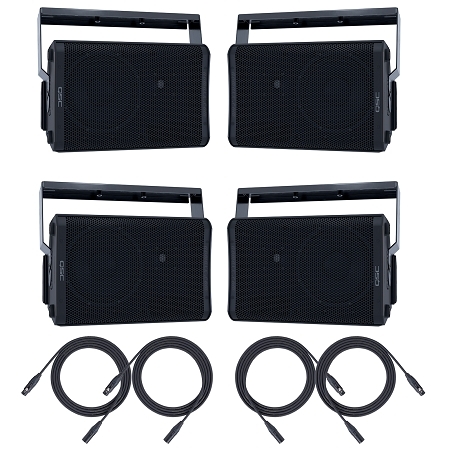 Finally, lightweight and powerful, the IQ-12 speaker system is suitable for both speech and music applications.